Some suspected Fulani herdsmen early hours of Monday attacked two communities in Kogi west, killing ten people. It was reliably gathered that the herdsmen invaded two Tiv settlement, one in Ilai outskirt of Mopamuro and the other in Ido-Gbede of Ijumu local government councils at about 4am on Monday. Source close to the two local government councils disclosed to DAILY POST that the herdsmen numbering over 50 invaded the two communities heavily armed with AK47 and opened fired on people killing 10 persons. They equally damaged goods worth several millions of naira and also stole some food stuff from both communities during the attack. Some of the victims in a phone chat with DAILY POST said they were surprised that the Fulani herdsmen attacked them. They disclosed further that 10 persons were killed during the attack on the two communities, stressing that the Fulani herdsmen were fully armed with dangerous weapons such as AK47, cutlasses, Axe and other dangerous weapons. Meanwhile, the Administrator of Mopamuro Local Government, Hon Moses Sunday David has condemned the attack. Reacting to the attack by some suspected Fulani herdsmen, he said that, “I am surprised that the attack came barely a week after we had a peace/security meeting at the Elulu’s palace to forestall this kind of unfortunate occurrence”. In a prompt on the spot assessment of the damage, the Administrator in company of Alhaji Taofik Isah, Administrator Ijumu local government council and ALGON chairman said “We shall work with the Security agencies to see that we rejig security architecture to see that people and properties are safe”. Hon Moses Sunday David said he had contacted relevant government agencies immediately, as he assured people of the readiness of government to see that the menace become a thing of the past. 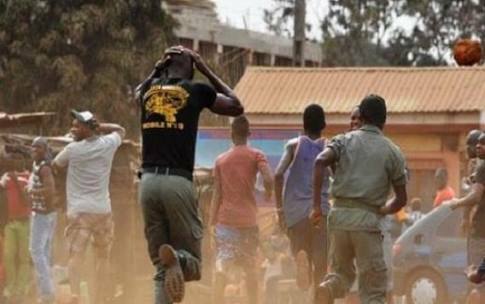 Meanwhile, the Police Public Relation officer of Kogi State ASP William Ayah when contacted on the attack, said the Command was yet to receive any report from the two communities, adding that he was not aware of the incident.